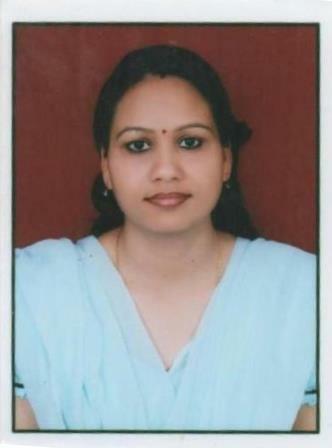 Anita Goswami is a Research Scholar in Central University of Rajasthan, Bandersindri, Kishangarh, Ajmer (Rajasthan). Her research area is mainly concerned with ecofeminism in Indian writings. She is deeply interested in literature with environmental concerns, gender and human right issues, post colonial literature, environmental justice and activism. She successfully qualified UGC NET JRF in 2013. She has successfully got published three research papers in different esteemed national and international journals. She has presented papers in various national and international seminars, conferences etc. She is a member of American Center Library, New Delhi and she is also associated with Sahitya Akademi. She is active as a life time member of Rajasthan Association for Studies in English (RASE). She has also completed highly academic certificate course entitled PGCTE acquiring Grade ‘A’ from The English and Foreign Languages University, Hyderabad (EFLU, Hyderabad). She is academically involved in GIAN Global Initiative of Academic Network. She is the first Coordinator of FSLE-India for Rajasthan Region.